Feeling Sidelined by Pain and Sickness? Nobody wants to live life at less than 100%. The responsibility for controlling every function of your body lies in your nervous system. If the nerves are pinched or irritated, the area that they lead to will, in turn, be affected. You might write it off as insignificant, but once you start to feel discomfort, the other areas the nerve leads to will start to have problems, too. For example, you might feel like your toe is going numb. It’s easy to think it isn’t anything to worry about. But that same nerve goes into your hamstring, and you might start to feel a weakness in your legs. It also leads to your gastrointestinal tract and could result in digestive problems. The body works as one, not as separate parts, and likely, it won’t be long before other issues crop up. 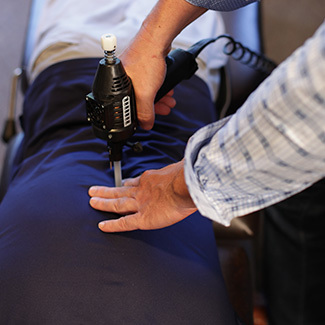 Over Dr. Murrin’s years of education and expertise, he has found that most people seek chiropractic care because of a muscular, pain-related problem. Soon, though, our patients discover that their activities of daily living are better, and their entire quality of life gets a boost. Contact ChiropracticUSA in Mount Pleasant today to learn more or to schedule your appointment! We would love the opportunity to share the benefits of chiropractic with you.